A Facial at Omni MedSpa is Customized for Your Skin Type and Treatment. Our estheticians will evaluate your skin and consult with you on your individual skin concerns. They will provide the appropriate customized treatment tailored for your skin type. Our estheticians customize treatments utilizing Rhonda Allison products, Image Skincare, PCA, and Custom Omni Rx. Using the power of raw organic minerals, plants and cutting edge bio-tech ingredients, the gentleman’s facials offers men the ultimate treatment to rejuvenate and revive their skin, leaving their face refreshed and vibrant for weeks. With this facial, refresh and renew the skin to achieve a more glowing complexion. Providing a powerful “double infusion” of H2O2 to stimulate and increase blood flow, this corrective facial provides much needed oxygen to depleted, dry skin, reducing pigmentation, detoxifying tissue, and brightening skin tone. This facial gives teens (or adults) a quick and effective support with a thorough deep cleanse for potent maintenance treatment. This express facial uses digestive enzymes to support normal to problematic skin while the soothing relief of Rosemary Basil Mask promotes a healing, calming effect for more vibrant skin. All this in just 45 minutes. For sensitive and/or Rosacea prone skin types. This facial helps reduce inflammation and sensitivities leaving a smooth texture to the skin. For acne prone or congested skin types. This facial provides antiseptic, antibacterial, and exfoliating properties while improving skin’s tone, texture and healing of lesions. This facial provides relief to aging or tired skin. It infuses the skin with actives that will stimulate, repair, and rejuvenate skin tissue. Actives that will firm and tone communicate to cells to produce more collagen, giving skin a luminous glow and buoyant, younger-looking appearance. It strengthens skin, stimulates collagen production, improves hydration, and reduces the appearance of fine lines and wrinkles. Dermaplane is a safe, non-invasive treatment, which uses a special tool at a forty-five degree angle that is stroked along the skin. 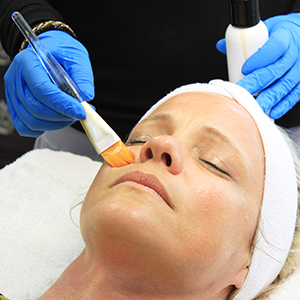 This allows “peach fuzz” and dead skin cells to be removed from the top layer of the skin. Dermaplane can be performed as an individual service or in conjunction with other facial treatments in order to enhance their effectiveness. This is a fantastic form of exfoliation that can be used with or without chemicals. 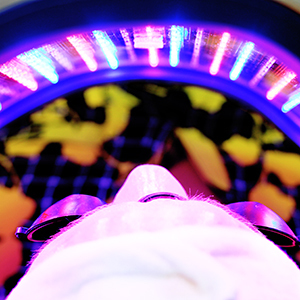 This treatment does not require downtime and will effectively give you the smoothest possible skin. If you are unsure what treatment is best for you, our medical estheticians offer complimentary consultations to evaluate and assess your skin type and concerns in order to provide you with the best possible treatment.